Here is the winner of Bigg Boss Tamil Season 2. We all knew for the past 3 months, Bigg Boss Tamil is the program that kept us engaging and the final voting has been happening vigorously. There was a tough fight between Riythvika and Aishwarya for Bigg Boss Tamil Season 2 title. The final result was announced today by Kamal Hassan. 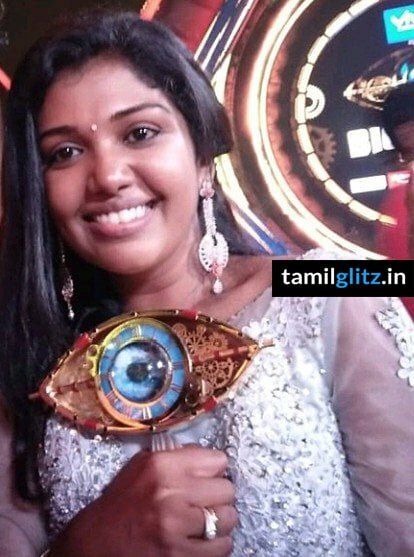 The winner of Bigg Boss Tamil Season 2 is Riythvika. She has gained huge fans over the time and has stayed consistent inside the house. The winner of Bigg Boss Tamil Season 2 will receive a Cash prize of 50 Lakhs. What’s your opinion related to this decision? Comment below. Hi Ruthu keep rocking you deserves the title. Its an genuine and general public result (by voting) We accept that Mr. Kamal and The VIJAYA TV are unbiased. Hats off to both of you. Kindly note that the Big Boss season 2 is not so interesting compare to season 1. Might be the reason is missing like personality and charectors of OVIA. However we have watched the program and feel that Sandrayan should be extended up to the final and if so the competition should be very tough.